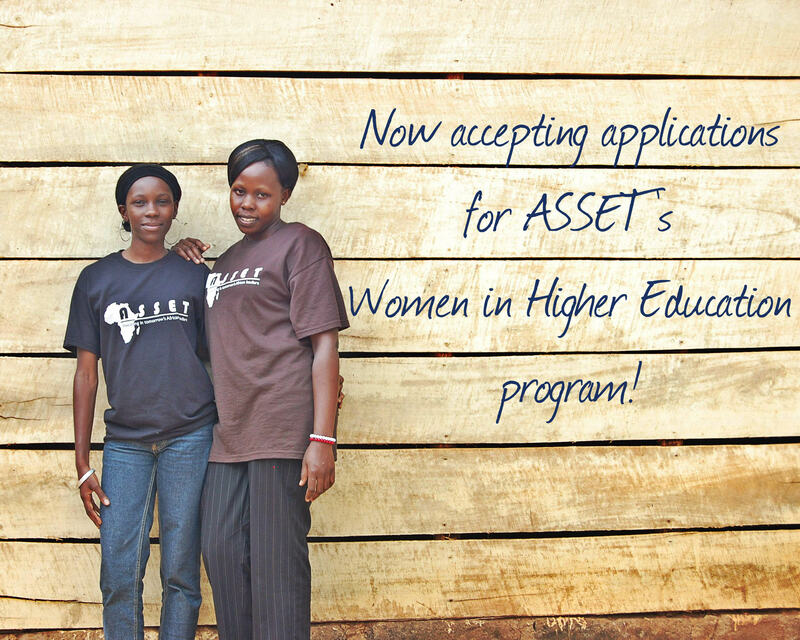 ASSET-Uganda, a non-profit organization providing scholarships and mentorship to outstanding Ugandan students pursuing higher education, is seeking qualified applicants to apply for its Women in Higher Education program. The program will provide leadership training, career guidance, internship placement, mentorship and tuition scholarships for 20 female students who are currently enrolled in or applying for entry into an institution of higher education in Uganda. We are seeking young Ugandan women from disadvantaged backgrounds who have demonstrated real potential for success, desire to better their communities, and wish to become leaders in their chosen fields. Students from all fields of study will be considered including universities and vocational schools. Funding for this program was made possible through the generous support of our funding partner, Dining for Women. Who is eligible to apply? Ugandan women currently enrolled in or applying to enroll in an institution of higher learning (university or vocational school) in Uganda. Applicants must demonstrate need for financial assistance and a history of good grades. All those who are selected will be asked to sign a letter of intent affirming they intend to attend all leadership training symposia and that they intend to continue to work within Uganda for at least 1 year upon completion of their programs. Continuation in the program is dependent on grades and professional conduct; ASSET reserves the right to dismiss students who don’t maintain good grades or otherwise demonstrate poor conduct. How do I apply? If you are eligible to apply, please complete the attached form and submit to admin@assetuganda.org by 1st March 2014. Click the link to the form below titled ASSET-WIHE-Sponsorship-Application-Form, then on the next page, click the link that says asset-wihe-sponsorship-application-form to save the .doc file to your computer.